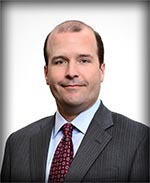 Neal Kling is a member of the law firm of Sher Garner Cahill Richter Klein & Hilbert, L.L.C. His primary practice areas include Finance and Commercial Law. He is an Adjunct Professor of Law at Tulane Law School and is active in many bar and professional groups. He currently serves as Chair of the Commercial Finance Committee of the American Bar Association Section of Business Law and has been elected to the Section’s Council. He is also a Fellow in the American College of Commercial Finance Attorneys, the American College of Real Estate Lawyers, and the American College of Mortgage Attorneys, and he is a Proctor Member of the Maritime Law Association. He is a frequent speaker at many of the meetings of these professional groups. A native of Gonzales, LA, Neal attended Louisiana State University, earning both a bachelor’s degree and a law degree. He was a member of the Louisiana Law Review and graduated Order of the Coif from LSU’s Law School. He has lived in New Orleans since 1993. Neal and his wife, Suzanne, have two children – Madeline and John. Madeline is a member of the Sacred Heart Class of 2019. John graduated from Stuart Hall in 2012 and Jesuit High School in 2017. Neal and Suzanne are members of St. Dominic Parish and are both been active volunteers in the community. Neal served on the Stuart Hall Board of Trustees, including a term as Board Chair. He also is a member of the Board of Directors of the Spirit of Charity Foundation. Suzanne served as Co-President of the Sacred Heart Mothers’ Club, and together they served as members of the St. Dominic Parish Family Advisory Council. In his free time, Neal enjoys golf, fishing, traveling, and cooking. Larry DeMarcay is a partner with the law firm of Baldwin Haspel Burke & Mayer where he maintains a litigation-based law practice representing companies in commercial and personal injury litigation. Larry has written over thirty articles on legal topics that have been published in trade industry magazines. He has also given numerous presentations to audiences ranging from industry groups such as the Offshore Marine Services Association to his legal peers at Tulane Law School’s admiralty law seminar. Larry grew up in New Orleans and graduated from Jesuit High School. He received his undergraduate degree in political science from the University of Florida, an M.B.A. from The George Washington University, and a law degree from Loyola University New Orleans. Larry and his wife, Lorie (ASH Class of 1989), are the parents of Lanie (Class of 2023) and Holly (Class of 2024), both of whom have attended Sacred Heart since enrolling in the Little Hearts program. The DeMarcay girls are third generation Sacred Heart students as Larry’s mother, Eileen Kuebel, graduated from the Rosary in 1963. Larry and Lorie served as the Parents’ Annual Giving Campaign Chairs for the 2012-2013 and 2013-2014 school years. 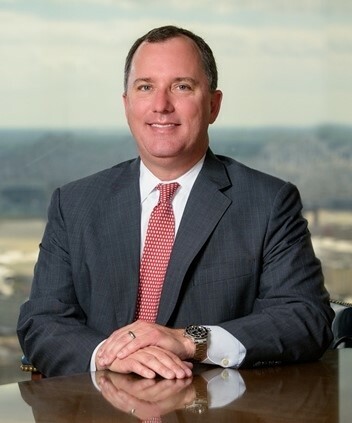 Graham Ralston, a native of New Orleans, joined Regions Bank in 2013 as Commercial Banking Executive for the South Louisiana Market and was also named New Orleans Market President in early 2016. Prior to joining Regions Bank, he led a commercial banking group at Whitney Bank in New Orleans, where he began his career in 1997. Graham earned a B.A. in Economics from the University of Texas at Austin and an M.B.A. from Tulane University. He also earned a CFA Charter in 2006 and is a past President of the CFA Society of Louisiana. 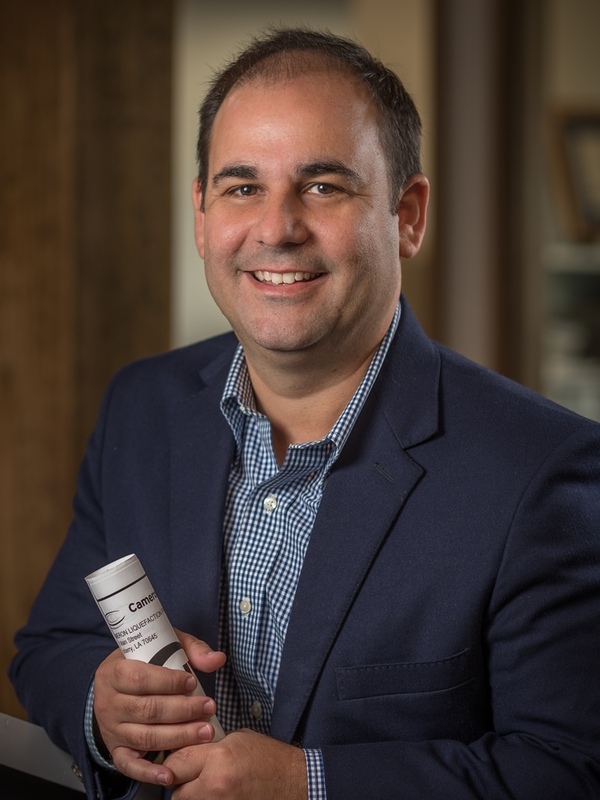 Graham is a member of the Business Council of Greater New Orleans and is currently serving on the boards of GNO, Inc. and the Regional Loan Corporation, and he is the current Board President of the Preservation Resource Center. He and his wife Adele Michaelis Ralston (Class of 1994) have two daughters, Riley (Class of 2026) and Emma (Class of 2030), and a son, Mears, who attends Stuart Hall. Sr. Melanie A. Guste, RSCJ, is a member of the Society of the Sacred Heart-United States-Canada Province. Sr. Guste has served as the Headmistress of the Rosary since 2014. Prior to this service, Sr. Guste served as a member of the Provincial Team of the Society of the Sacred Heart and as Director of Planning for the U.S.-Canadian Province. She currently serves as a member of the Sacred Heart Commission on Goals (SHCOG). SHCOG is the primary vehicle for accountability to mission within the 24 schools of the Network of Sacred Heart Schools in the United States and Canada. In 2017-2018, she served as the Chair of the SHCOG Visiting Team in Princeton, NJ. In 2018-2019, she will serve as the Chair of the Visiting Team in Montreal, Canada. With her doctorate (Ph.D.) degree in Human and Organizational Systems, Sr. Guste has been extensively involved in educational and organizational system level initiatives at the local, state, and national levels. She has served at Schools of the Sacred Heart in both Grand Coteau, LA, and Schools of the Sacred Heart in San Francisco, CA. Sr. Guste has earned several degrees, including a master’s in Educational Administration and Supervision from Loyola University and Applied Spirituality from the University of San Francisco. She completed her doctorate (Ph.D.) in Human and Organizational Systems from Fielding Graduate University in Santa Barbara, CA. She is certified for life as a School Principal in the State of Louisiana, as well to teach Social Studies and English. A native of New Orleans, Sr. Guste attended the Rosary from prekindergarten through twelfth grade with her five sisters. Peyton Bush is currently the Chief Investment Officer of Bollinger Enterprises, LLC, a single-family investment office located in New Orleans. In this role, he is responsible for overseeing all investment activities and asset allocation for a portfolio that includes publicly-traded debt and equity securities, hedge funds, and direct investments in both real estate and private equity. Prior to his current role, he was a Vice President at LongueVue Capital, LLC, a New Orleans based private equity firm. At LongueVue, he was primarily engaged in performing financial and operational due diligence, processing and executing transactions, and supporting and monitoring portfolio companies. Prior to LongueVue, Peyton was employed by Highland Capital Management, a multi-strategy alternative investment firm in Dallas, TX, with over $30 billion in assets under management, where he identified, analyzed, and structured investments across a variety of asset classes. Prior to Highland, he was an Investment Banking Associate for JP Morgan Securities, focusing on corporate finance and M&A advisory for clients in the Consumer and Retail sectors. Peyton earned a Bachelor of Science from Tulane University, an M.B.A from Vanderbilt University, and served four years as an Intelligence Officer in the United States Marine Corps. He is married to Elizabeth Ehrensing Bush (Class of 1994), and they have a daughter, Charlotte (Class of 2025), and two sons, Peyton V and William, who both attend Trinity. Michael P. Cook is the Chief Financial Officer and Chief Operating Officer of Sun Specialty Products, an international Company that manufactures specialty chemicals used in the oil & gas industry. He joined the company in 2001. Prior to joining Sun, Michael worked as a Corporate Consultant for two international firms, Pricewaterhouse Coopers and Ernst & Young. His primary focus was on forensic accounting, litigation support, M&A transactions, as well as performing financial statement audits. 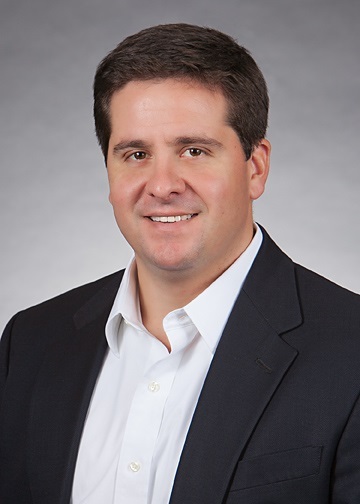 Michael earned a Bachelor of Science in Corporate Finance & Investment Management from the University of Alabama and Master of Business Administration from the University of New Orleans and is a Certified Public Accountant. Michael was raised in New Orleans and graduated from Isidore Newman School. He and his wife, Erin, have a daughter, Cecilia (Class of 2019), and a son, Lyons, who attends Newman. Upon graduation from Dartmouth College, Nina Wessel English ’92 went to work for the Manhattan District Attorney's Office. She then moved to the West Coast, receiving a law degree from the UCLA School of Law. Nina's legal career began with a clerkship for Honorable F. A. Little, Jr., the former Chief Judge of the U.S District Court, Western District of Louisiana. She then practiced law for several years at Simpson Thacher & Bartlett in Los Angeles. In 2004, Nina returned to New Orleans with the firm of Gordon Arata McCollam Duplantis & Eagan, where she became a partner practicing commercial litigation and labor and employment law. Two years ago, Nina elected to take a break from law and is currently devoting her time to philanthropic pursuits. She serves as Board Chair for New Orleans People Program and as Board Vice-Chair and coach for Girls on the Run, New Orleans. Nina is a 1992 graduate of Sacred Heart and has remained actively involved with the Rosary, including serving as a member of the ASH Alumnae Board and as Parents' Annual Giving Campaign Chair. She and her husband Patrick are proud parents of three current Sacred Heart students: Maria (Class of 2024), Colette (Class of 2027), and Emeline (Class of 2031). JP Hymel is President of Gallo Mechanical, and he serves as Chief Executive Officer of Gallo Mechanical Services and Sheet Metal Systems. Gallo Mechanical is a commercial HVAC (Air Conditioning & Heating) and Plumbing contractor with clients throughout the Gulf Coast including the Mercedes-Benz Superdome, the University Medical Center, Loyola University, and many other commercial, institutional, and industrial clients. Prior to joining Gallo Mechanical, JP served as North American Business Development Director for Johnson Controls, specializing in Public Private Partnerships. His local clients included Tulane University, Dillard University, and Louisiana State University. During his time with Johnson Controls, JP successfully developed innovative financial contracting structures allowing clients to purchase construction and service offerings without the need for up-front capital. JP enjoys serving his local community. 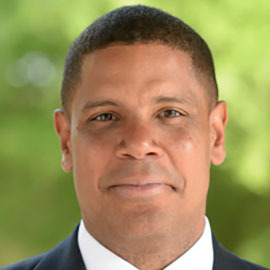 He is the immediate past Board Chair for Crescent City Schools (a local Charter Management Organization with three New Orleans schools) and serves on several boards including the Tulane School of Architecture Advisory Council, the Tulane City Center Advisory Council, and the Cowen Institute Advisory Council. JP is also active with the EMPLOY Collaborative and the 100K Initiative for Opportunity Youth. 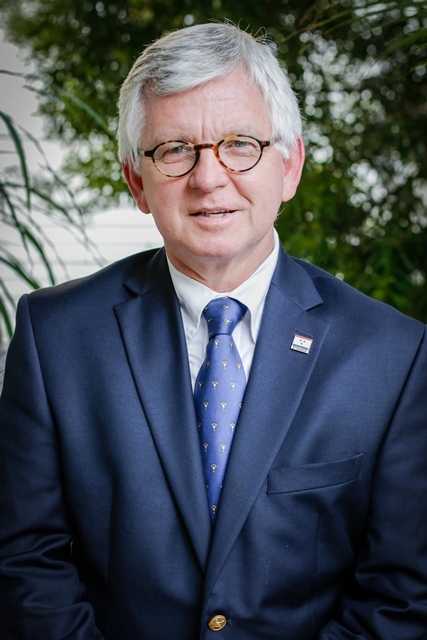 He is President of the Maisonette Condominium Association and past member of the Tulane Alumni Association Board of Directors, the UNO Engineering Advisory Council, the Newcomb-Tulane College Advisory Council, and the St. Francis of Assisi Pastoral Council. After graduating from Tulane University as an Electrical Engineer, JP served in the U.S. Air Force as an Electronics Warfare Engineer. While in the Air Force, he received his MBA from Georgia College & State University. JP and his wife, Erin, have two daughters, Louise (Class of 2030) and Lucille (Class of 2034). 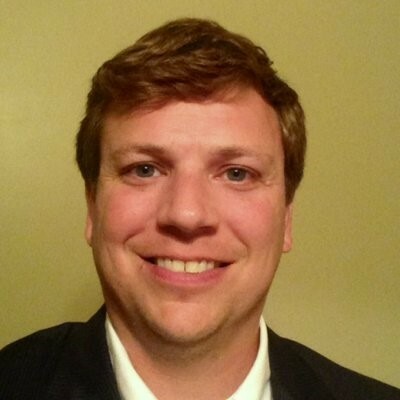 Wil Jacobs originates and manages a commercial loan portfolio as an officer of Hope Enterprise Corporation. He has a particular focus in deploying a New Markets Tax Credit allocation and funding projects utilizing historic tax credit and housing tax credit equity. Wil is proud of his role as Housing Director of the Louisiana Recovery Authority where he devised initiatives to restore housing after the hurricanes of 2005. In this role, he also directed the planning and construction of thirteen housing developments, including five planned communities, across southern Louisiana. Wil previously furnished debt for buyouts and merger and acquisition transactions in the leveraged finance group of a national bank in the Midwest. The father of Isabella (Class of 2025), Wil is active in the Fathers’ Club at Sacred Heart and chaired its Mardi Gras fundraising activities during the 2016-2017 school year. He is the Past Chair of Café Reconcile and serves on the boards of the Audubon Nature Institute and the New Orleans School Facility Finance Foundation. Wil was a founding board member of the Crescent City Community Land Trust and has also completed service on the boards of the Stuart Hall School for Boys and St. Augustine High School, his alma mater. Wil holds a B.A. from the University of New Orleans and an M.B.A. from the University of Michigan. He lives in Lakeview with Isabella and his son Nicholas. Susan Read Johnson ’64 is an active leader and volunteer at Sacred Heart and in the New Orleans community. She is currently a member of the Sacred Heart Capital Campaign Committee and the Future Founders alumnae leadership giving circle and has served on the Rosary Sacred Heart Alumnae Board. She also serves on the boards for Children’s Hospital, the Archbishop Hannan Community Appeal, The Selley Foundation, and the Preservation Resource Center. Susan was the founding member of the Impact 100 Women’s Giving Circle, an initiative of the Greater New Orleans Foundation. Following Hurricane Katrina in 2005, she volunteered with Citizens for 1 Greater New Orleans, an organization that was formed to reform the levee board and public school education, and traveled to Washington, D.C., with the Women of the Storm to raise money to rebuild the city. 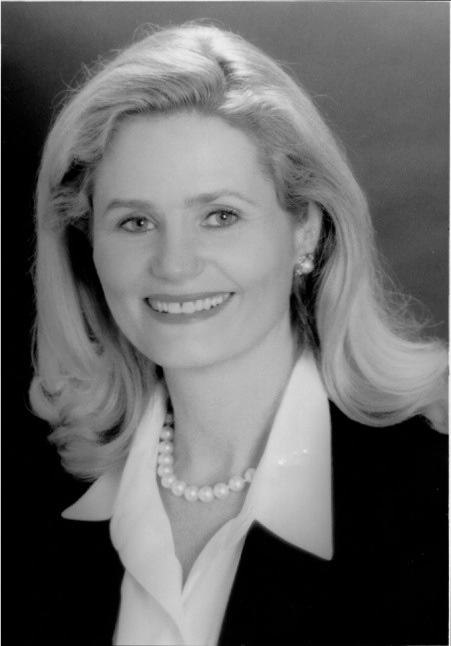 Susan has previously served on many additional boards, including the Junior League of New Orleans, United Way, Maison Hospitaliere, Longe Vue House and Gardens, Hermann-Grima/Gallier Historic Houses Archdiocesan Spirituality Center, Catholic Charities, National Donor Awareness Foundation, Ochsner Hospital Board of Councilors for Women’s Health, and Lambeth House Foundation. Susan has been recognized for her volunteerism on many occasions. She is the recipient of the St. Elizabeth’s Guild Volunteer Activist Award, the Family Service of Greater New Orleans TOP Award, the Order of St. Louis Award given by the Archdiocese of New Orleans, the Young Leadership Council Role Model Award, and the Tulane University Emeritus Club Lifetime Achievement Award. Additionally, she has been honored as Outstanding Fundraising Volunteer by the New Orleans Chapter of the Association of Fundraising Professionals, Junior League Sustainer of the Year, Children’s Hospital Sugar Plum Ball Honoree, Honorary Chairman of “Sentimental Journeys” at Longue Vue, and St. Charles Avenue Activist of the Year. 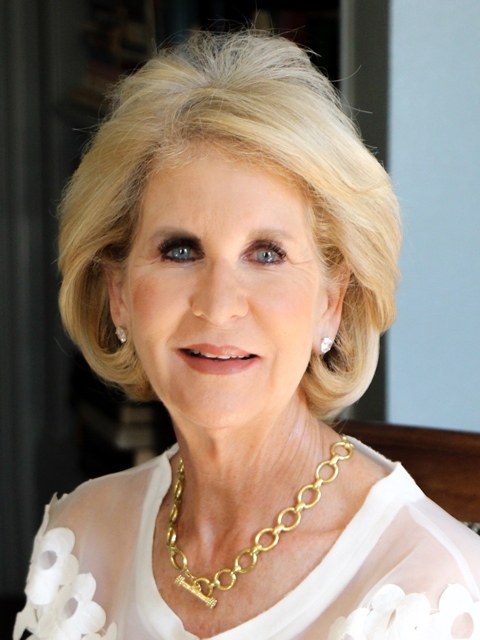 Susan is a 1964 graduate of Sacred Heart and 1968 graduate of Newcomb College, where she majored in American studies and was a member of Kappa Kappa Gamma sorority. She and her husband, Doug, have three daughters who are graduates of Sacred Heart: Courtney Johnson LeClercq ’87, Leslie Johnson McClanahan ‘89, and Kelley Johnson Daniel ’91. Her granddaughter, Susan LeClercq, is a current student at Sacred Heart (Class of 2022). William Lunn was recruited to Tulane in August of 2014 to serve as President & CEO of Tulane Health System. Dr. Lunn is a graduate of Tulane University and is delighted to be back in New Orleans. Originally from Texas, he was a medical student at the University of Texas in Dallas, a resident at Emory School of Medicine, and he completed fellowships at Vanderbilt and Harvard. 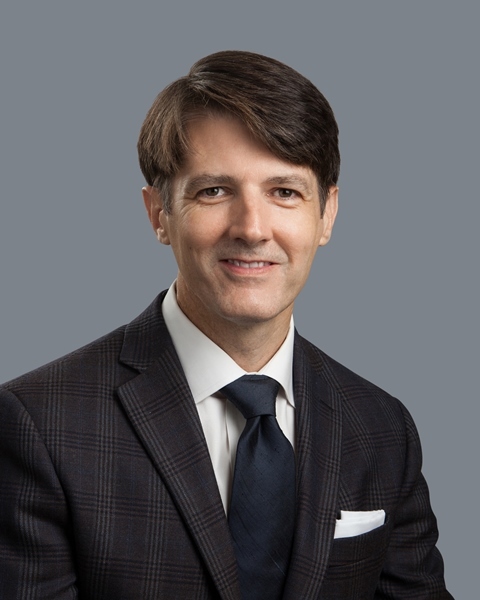 Dr. Lunn is the recipient of numerous awards including the American College of Chest Physicians’ Young Investigator Award and the Fulbright and Jaworski award for educational leadership. He has authored several original articles published in various medical journals, book chapters, and has been guest faculty at numerous courses as well as national and international meetings. Dr. Lunn is married to Mary Lynn, an experienced business consultant who is presently a Ph.D. candidate with expertise in leadership and organizational performance. They are the proud parents of three daughters: Elizabeth (Class of 2016), Emma (Class of 2018), and Mary Aliene (Class of 2024). In his free time, he enjoys running, boating, traveling with his family, and spending quiet nights at home with his girls. 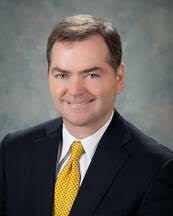 Phillip May is the President and Chief Executive Officer of Entergy Louisiana, LLC. He joined the company in 1986. Phillip serves on the boards of the Federal Reserve Bank of Atlanta’s New Orleans Branch; the U.S. Chamber of Commerce; GNO, Inc.; The Louisiana Nature Conservancy; Teach for America of South Louisiana; City Year Baton Rouge; and Second Harvest Food Bank. Phillip received a Bachelor of Science in electrical engineering from the University of Southwestern Louisiana and a Master of Business Administration from the University of New Orleans. A Louisiana native, he and his wife, Lauren, have twin daughters, Fiona and Willow (Class of 2025). Laurie Weiss Nuell is a community activist and philanthropist. She is the co-founder of the Jay Weiss Center for Health Equity at the University Miller School of Medicine and served on the board of the Public Health Trust and is currently the Chair of The Children's Trust. She is a full-time volunteer for Partners in Health and a frequent visitor to Haiti and is a founding board member of the Friends of Zanmi Beni, a residential children's center in Port-au-Prince. In partnership with the Carrollton School of the Sacred Heart, Laurie and her family have been instrumental in building and operating a large school in LaColline, Haiti. Laurie attended the Carrollton School of the Sacred Heart in Miami, FL, and attended Tulane University. Laurie's mother is from New Orleans, and her father and oldest daughter attended Tulane as well. She currently serves on the board at Carrollton and is a past Chair of the Board. 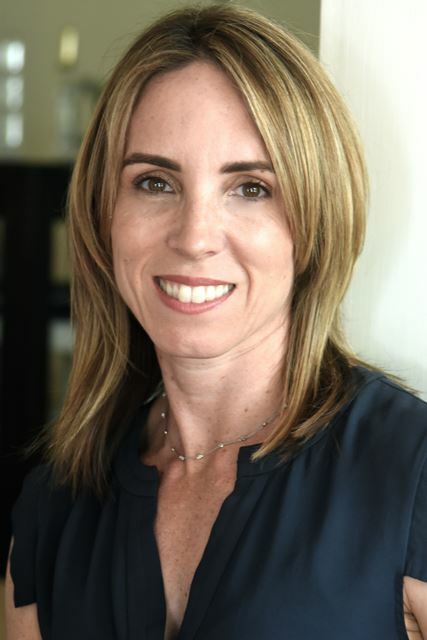 Laurie also chaired the bi-annual AASH conference that was held in Miami in 2011 and has served as a member of the Network of Sacred Heart Schools Board for the past seven years. Laurie resides in Miami and is the mother of one son and two daughters, who both attended Carrollton. She also has two adorable granddaughters; the eldest who is a member of the Class of 2029 at Carrollton. Laurie has the proud distinction of being the first third generation family at Carrollton. 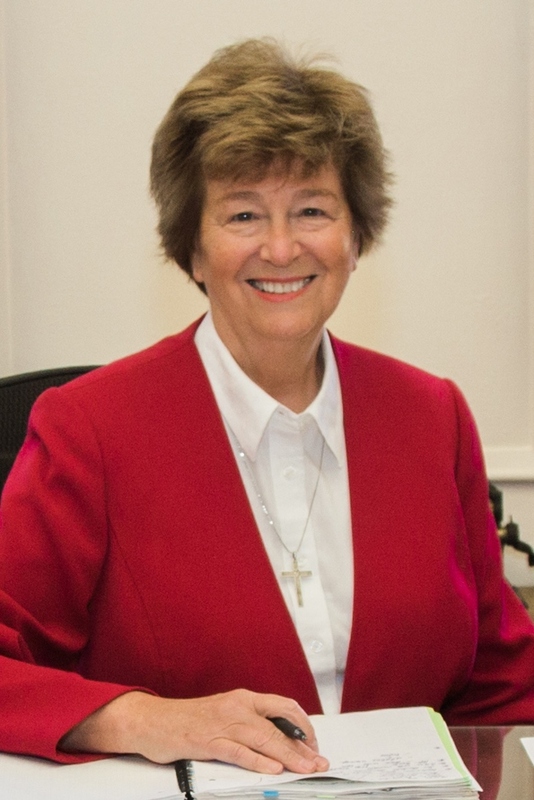 Sr. Maureen O’Halloran, RSCJ, is a graduate of Newton Country Day School of the Sacred Heart and Newton College of the Sacred Heart, which merged with Boston College in 1975. She holds a Master of Public Administration degree from Suffolk University and a Juris Doctorate degree from Boston College Law School. Sr. O’Halloran taught Middle and Upper School courses for several years at Stuart Country Day School of the Sacred Heart in Princeton, NJ. She also taught for six months at the Sacred Heart School in Kalungu, Uganda. As an attorney, she has served as law clerk to the Justices of the Superior Court of Massachusetts, Assistant General Counsel to the Massachusetts Board of Higher Education and In-House Counsel to Massachusetts State Colleges. From 2001-2008 she served as Provincial Treasurer of the Society of the Sacred Heart, United States Province. Sr. O’Halloran has served on several boards including Maryville University, Stuart Country Day School of the Sacred Heart, Princeton Academy of the Sacred Heart and Newton Country Day School of the Sacred Heart. She is delighted to join the Academy of the Sacred Heart’s Board of Trustees. A professed member of the Society of the Sacred Heart since 1979, Sr. Vicky Rajca, RSCJ, has worked within several institutions owned and/or run by the Society of the Sacred Heart. She currently serves as the Director of Conference Center and Chief Financial Officer/Director of Operations for the Society of the Sacred Heart and Stuart Center in Washington, D.C. Prior to this role, she was the Chief Financial Officer at the Stone Ridge School of the Sacred Heart in Bethesda, MD, for 22 years and was then the Director of Finance at the Perry School Community Services Center in Washington, D.C., for nearly eleven years. She has also served as Assistant Provincial Treasurer for the Society of the Sacred Heart, Assistant in the Admissions and Development Office at the Stuart Country Day School of the Sacred Heart in Princeton, NJ, and in various teaching positions at several Sacred Heart Network schools. Sr. Rajca holds a Bachelor of Arts in sociology from Maryville University in St. Louis, MO, and a Master of Business Administration from the University of Notre Dame. She has been a member of the Board of Trustees at Princeton Academy of the Sacred the Heart, Stuart Country Day School of the Sacred Heart, and St. Anselm’s Abbey School. She has also served on investment and finance committees for the Religious of the Sacred Heart United States/Canada Province and the Association of Independent Schools of Greater Washington. A native of New Orleans, Mark is the President/CEO of the New Orleans Tourism Marketing Corporation (NOTMC). He also serves as the volunteer President/CEO of the 2018 NOLA Foundation, the support arm for the City’s 2018 Tricentennial Commission. Mark is the stadium announcer for the New Orleans Saints at the Mercedes-Benz Superdome. As a public relations and marketing professional, he served as Vice President – Public Affairs for Hibernia National Bank and enjoyed a sixteen year career at Peter A. Mayer Advertising. Mark has been involved in a variety of historic and milestone events throughout his professional and volunteer career. He is a member of the boards of directors for Covenant House, Legacy Donor Foundation, New Orleans Saints Hall of Fame, and the Fore!Kids Foundation. He is also past Chairman of the Board of Idea Village and currently serves as Chairman of the Board of the Louisiana Travel Promotion Association. Mark graduated from Brother Martin High School and attended the University of New Orleans, where he received a B.S. from the School of Business Administration (School of Hotel, Restaurant and Tourism Administration) in 1978. He was named the program’s outstanding alumnus in 1984 and again in 2012. In 2008 Mark, was also honored by the Young Leadership Council as a Role Model and received St. Elizabeth’s Guild Volunteer Activist Award. Mark is a member of St. Rita Parish in New Orleans and his mother is Sacred Heart alumna Janice Margaret Collins (Romig). Beth Lowry Speck is an educator and leader residing in Houston. For 35 years, she served in various roles at Duchesne Academy of the Sacred Heart in Houston, including teacher, Campus Ministry and Social Awareness program coordinator, Alumnae Director and Director of Admission. She then spent one year as Interim Head of the Early Child and Lower School at Annunciation Orthodox School in Houston and now offers professional consulting services in private education to schools and individuals. Beth currently serves on the Alumnae Board at Duchesne Academy of the Sacred Heart in Houston and is a Sacred Heart Associate. 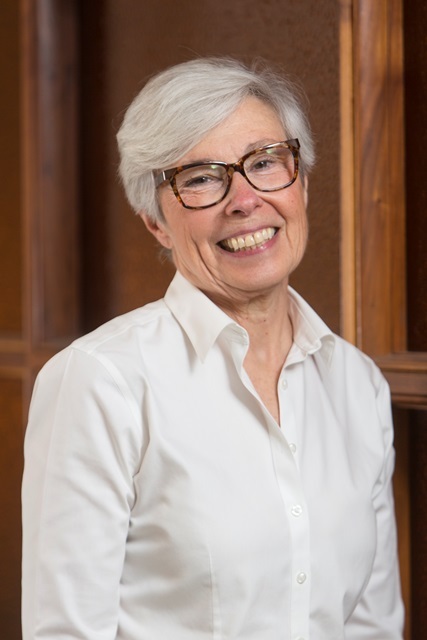 She has also served as Chair of the Cenacle Retreat House Governing Board and President of the Associated Alumnae/Alumni of the Sacred Heart National Board. An alumna of Duchesne, she holds both a master’s and bachelor’s degree from the University of St. Thomas in Houston and is currently working towards earning certification in Catholic School Leadership. Beth and her husband David have been married for 35 years and have two daughters who are both Sacred Heart graduates. After Hurricane Katrina in 2005, Beth worked very closely with students relocated from New Orleans to help them find their “Sacred Heart home away from home” at Duchesne. She has also maintained strong ties with the Rosary through the AASH, the national Sacred Heart alumnae organization, and other connections. 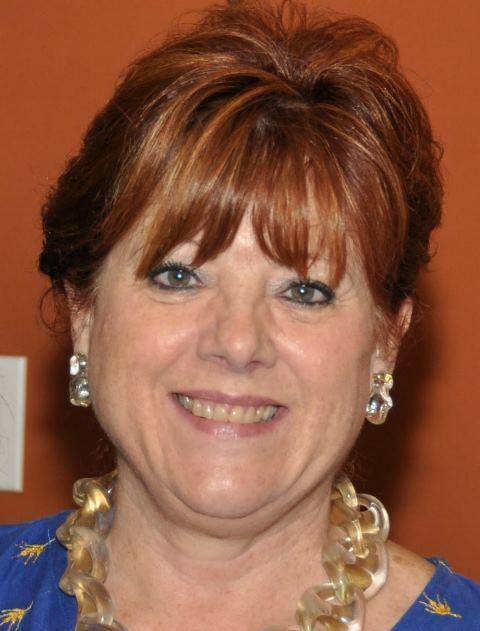 She is honored to be part of the Rosary’s Board of Trustees, which gives her the opportunity to stay connected to a very important part of her Sacred Heart heritage and to serve a community that she loves and admires.